The water flow on my bathroom faucet has completely lost water pressure, is there a quick fix for this? Whether your water faucet is old or new and it has low water pressure, here are some help tips. If this happens on an older faucet, then the reason for low water pressure is a dirty or clogged faucet aerator. You will need to unscrew the aerator from the faucet using a wrench or possibly by turning it with your hand. Once removed, take the aerator apart and clean all the components. The parts that are contained in an aerator are a washer, flow restrictor, mixer, bushing, screen, outer housing and the aerator body itself. Once cleaned of all the gunk, reinstall it and test water flow. Your faucet should now be flowing with normal water pressure. If this happens with a new faucet recently installed, then obviously it cannot be a clogged aerator. The first thing to check is to make sure both the hot and cold water shutoff valves under the sink are fully in the open position. 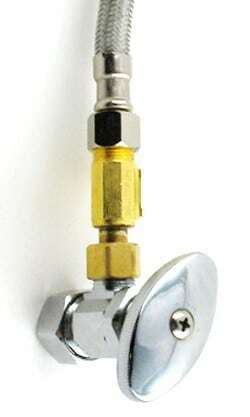 A half closed or half open valve will reduce water pressure. If they are both fully open, then the new faucet may have an internal defect that is causing the low water flow. The best way to see if the faucet is defective is to test the water supply pressure. Do this by turning off the water to the faucet under the sink. Next, remove the hot and cold lines from the faucet body. Get a bucket and put the hot and cold lines from the wall into the bucket. Turn the water valve on for the cold and see if the water pressure spraying into the bucket is high or low. Do the same with the hot water line. If the water pressure is normal, then there is a defect in the new faucet. If the water pressure is low, then there is an issue with the water pressure coming in at that point. Now, if all of your sinks have low water pressure or low flow, then the problem is the water supply coming into your home. It is possible that the water valve outside that turns your water on and off to your home may be partially closed or partially open. 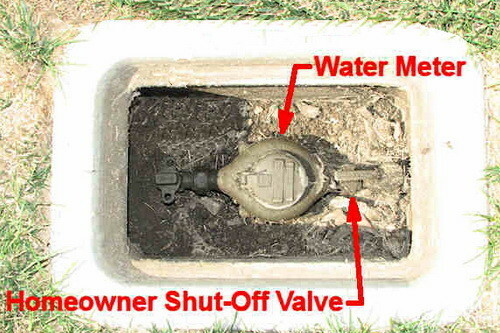 Go outside and locate your water shutoff valve and check that it is fully in the open position. Many times when living in an apartment or condo, a person working on something may turn the water off on your place by mistake. This is because many of the water shutoff valves are grouped together and usually not labelled. So if you have partial or no water in your home or apartment, check the water shutoff valve outside. If the water valve outside is fully open, then call your water company and ask if they turned the water off in your area. Most of the time the city will do a quick water line repair in the street or elsewhere and turn the water supply off for a short time. So call them and see if this is what has happened. Very good advice. But, how to get the aerator apart? Poke with small sharp objects? The aerator should simply UNSCREW from the faucet. For us to better understand, tell us, you have NO water in the kitchen after installing a new shower? Is the water pressure simply weak in the kitchen or are you getting no water to the kitchen at all? Check the water on/off shut off valves under your kitchen sink to be sure they are fully open. This was excellent repair advice. Cleaning the clogged faucet aerator solved my problem. In less than five minutes my problem was resolved. I was considering calling a plumber. You probably saved me at least a hundred dollars. Plumbers are not cheap. Thanks!